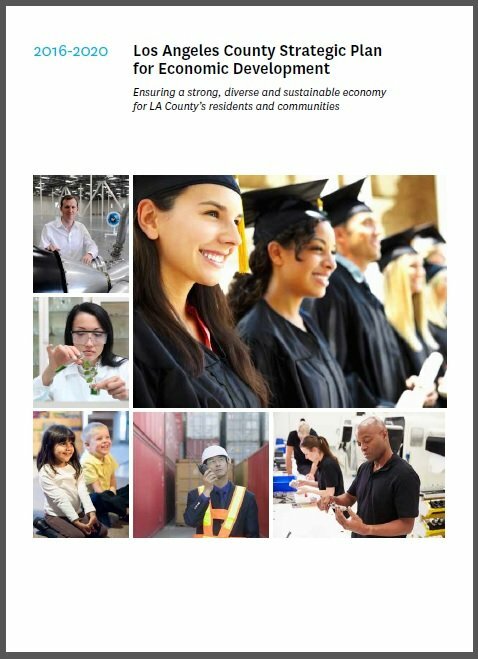 Goals for the 2016-2020 Los Angeles County Strategic Plan for Economic Development were chosen through a collaborative, consensus-driven approach that invited input from leaders in public, private, business, government, labor, education, environmental, and community-based organizations. By soliciting input and engagement from our stakeholders, a core set of economic development goals, objectives, and strategies is now determined for the County. Propel L.A. is actively engaging with L.A. County nonprofits, businesses, educational institutions, and city and county government to see these goals accomplished. The team is also actively pursuing stories of success – telling the stories of LA County residents. To learn more about the 7 Goals or to Get Involved, visit the Propel L.A. website.